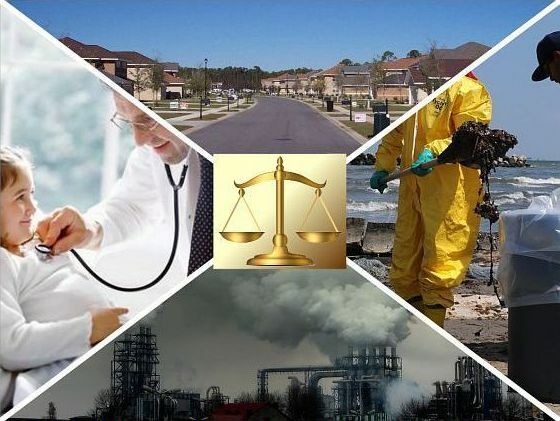 Environmental testing involves a wide range of disciplines specific to toxicology. Aside from collecting static air, water and soil samples and performing accredited laboratory assessments for contaminants, environmental testing can also involve substance concentration monitoring over time and the collation of client data from medical records, questionnaires or health histories. These can be used for assessing whether or not such evidence corroborates or refutes any toxic endpoints. Environmental testing can encompass source, fate and transport issues involving petroleum, chemical, radiological and other types of releases. Environmental testing includes dose-response exposure assessments of humans, fish and game as well as assessing potential health risks and the consequences of widespread contamination (such as the 2010 release from the "Deepwater Horizon" undersea well in the Gulf of Mexico). Ten days after the initial 2010 "Deepwater Horizon" release, TCAS was called upon to produce objective toxicological risk assessments. Owing to the scale of the contamination and the unique nature of the release, Dr. Sawyer elected to recommend independent sampling rather than rely upon data released by BP as early information was incomplete and did not possess the necessary objectivity. Indeed, much of the initial data provided by the company was incomplete and highly selective with respect to locations, depths and matrices. To improve data quality, Dr. Sawyer brought in and worked closely with Boston Chemical Data Corp (BCDC)1 which has extensive, generally-recognized experience conducting high-quality air, water and soil sampling. 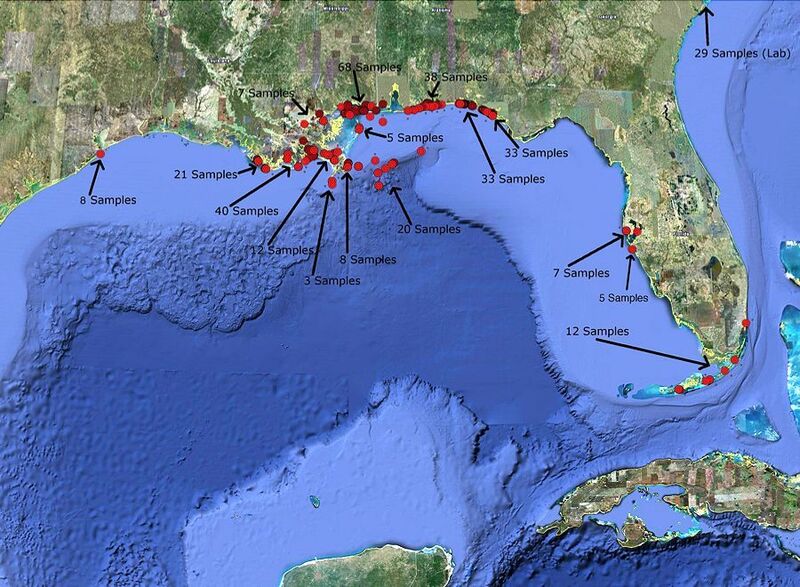 Biological samples were collected from dozens of sites bordering the Gulf of Mexico. This operation covered more than 1,500 miles of coastline in Texas, Louisiana, Mississippi, Alabama and Florida, reaching as far south as the Florida Keys. The scale of the disaster and the likelihood of massive impending litigation amplified the necessity for Dr. Sawyer's findings to be regarded as both scientifically credible and objective. His toxicological reports were publically released, and he was frequently interviewed during this period by local and national news agencies including Lisa Meyers of NBC Nightly News.2 This media coverage ultimately served to raise awareness of specific health risk concerns in the region. Dr. Sawyer's investigation had to be conducted using documented methods as he was tasked with assessing both human health risks and environmental impacts. To those ends, BCDC's collected samples were sent under secure chain-of-custody to specialized, accredited laboratories. Upon receipt of the laboratory results, Dr. Sawyer compiled a series of detailed reports using generally-recognized, peer-reviewed assessment methods. Dr. Sawyer's assessments also included testing of fish tissue levels for aliphatic and aromatic hydrocarbons as these were not fully assessed by BP or the government agencies. The illustrations (below) highlight the locations and number of samples collected by BCDC and evaluated by TCAS. The preceding outline of Dr. Sawyer's involvement in the "Deepwater Horizon" matter serves to illustrate some of the issues an expert toxicologist must objectively address when conducting an environmentally-oriented exposure assessment. Dr. Sawyer's findings were widely distributed by our clients with open access to government agencies, news media and the general population. His reports and findings have been cited by health professionals on multiple occasions in the years that have followed. The "Deepwater Horizon" matter demonstrates how a conscientious environmental sampling and testing regimen, supported by an objective toxicological risk assessment, can reveal measurable and quantifiable bioaccumulative impacts. These include total petroleum hydrocarbon (TPH) accumulation in marine life and carcinogenic PAH accumulation in both animals and the environment. Test results can also serve as benchmarks for acute, subchronic and chronic toxicity studies, reproductive and carcinogenicity assessments, identification of chemical disruptors, collation of toxic substance data and other investigative activities. Subsequent risk assessments may involve determination of fate and transport issues, extrapolation of toxic endpoints, concentration monitoring, collation of exposure data, etc. Contributing factors must be compiled and addressed concisely if the findings are to be regarded as scientifically credible. Dr. Sawyer on NBC Nightly News, "Disaster in the Gulf: Day 102"
Report cover (redacted) © Copyright 2017 TCAS, LLC. TCAS report demonstrative (redacted), graphical image © Copyright Boston Chemical Data Corp.
"Environmental testing involves more than sending samples to a laboratory. An appropriate sampling plan and an objective analysis regimen are essential in an environmental case if the toxicological merits are to be seen as scientifically credible."